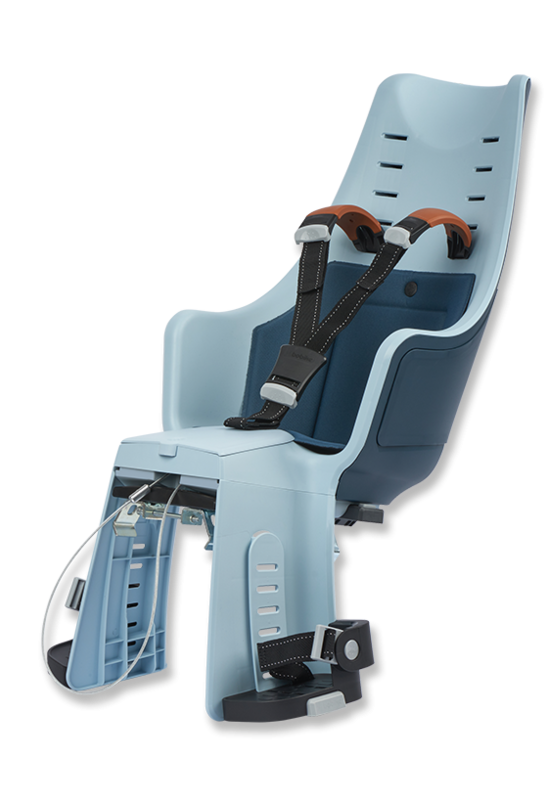 Rear seats till age of 10 Bobike bicycle safety seats for the back of your bike are suitable for children till the age of 6 years or with a body weight not exceeding 22 kilograms. 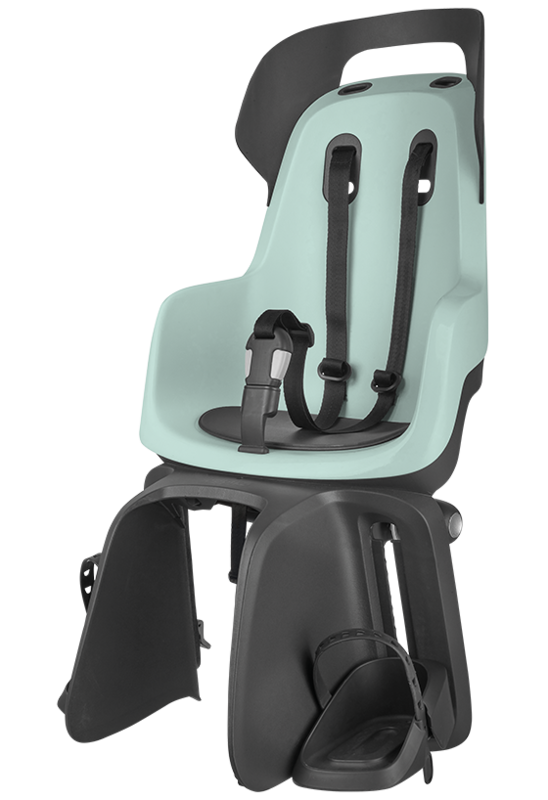 Bobike Junior seats are suitable for kids ages 5-10 years or with a body weight from 20-35 kilograms. Your child ‘moves’ to the back because a sibling was added to the family or because it became to heavy for the front seat. The Bobike GO is our newest and very international addition to the range. Now people all over the world can enjoy sleek and stylish Dutch design. 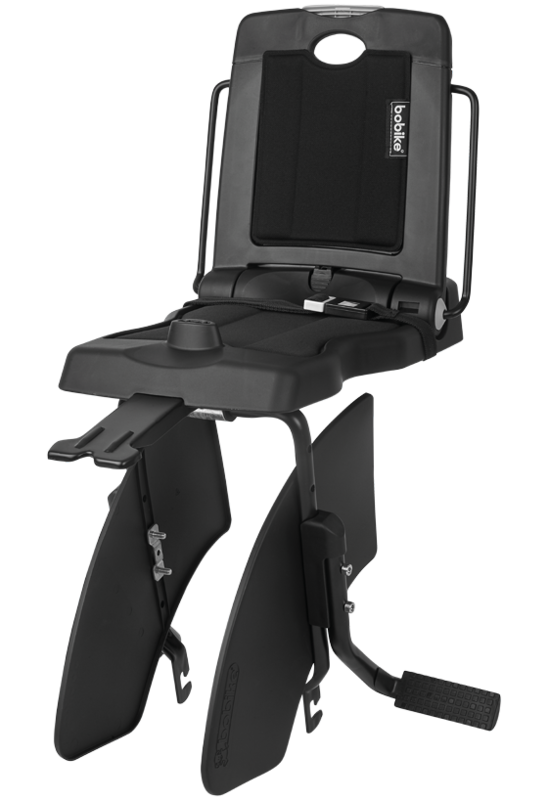 The integrated, increased protective area makes the seat extra safe in countries where bicycle paths are not the standard. You love the city. Just like the Bobike ONE. You maneuver through busy city life with ease. Surprising twists, obstacles and new opportunities come your way. It does not scare you. The city gives you energy. Who says the city is no place for children? You prove them wrong. The Bobike ONE lets you and your child(ren) explore the city by bike in a safe and unique way. On to the next urban adventure! The Bobike Exclusive is especially designed for parents who like to go outdoors with their children. Enjoying nature, feeling the wind blow through your hair, enjoying the sunshine on your face. Taking the bike to go visit the grandparents. And should the trip take too long, the unique belt system keeps your child in an upright position when it falls asleep. The exclusive, award-winning design blends in perfectly with the current bike trends. But it is not just a beautiful design, it is above all a very practical design. The Bobike Exclusive tour is especially designed for parents who like to go outdoors with their children. Enjoying nature, feeling the wind blow through your hair, enjoying the sunshine on your face. Taking the bike to go visit the grandparents. Should the trip take too long, the unique belt system keeps your child in an upright position when it falls asleep. The exclusive, award-winning design blends in perfectly with the current bike trends. But it is not just a beautiful design, it is above all a very practical design. 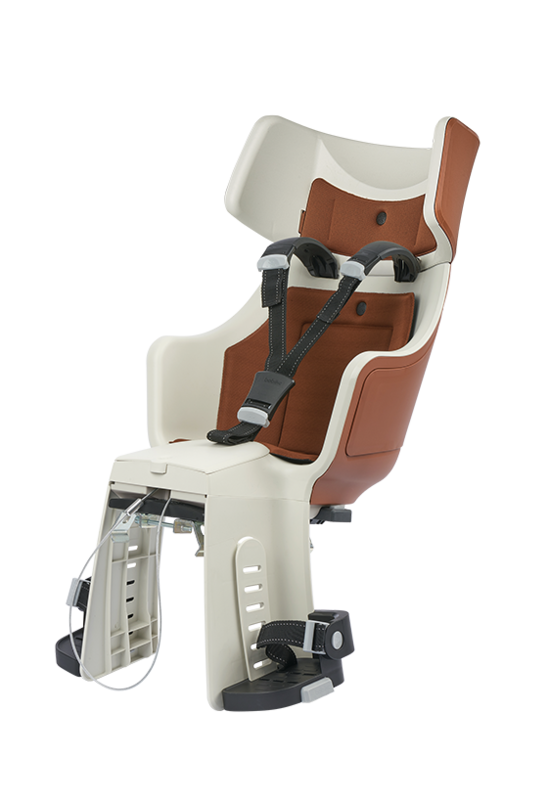 The supporting seat for children upto 35kg. The seat offers support for children that are old enough to sit independently on the back of your bike but cannot quite cover longer distances by themselves. 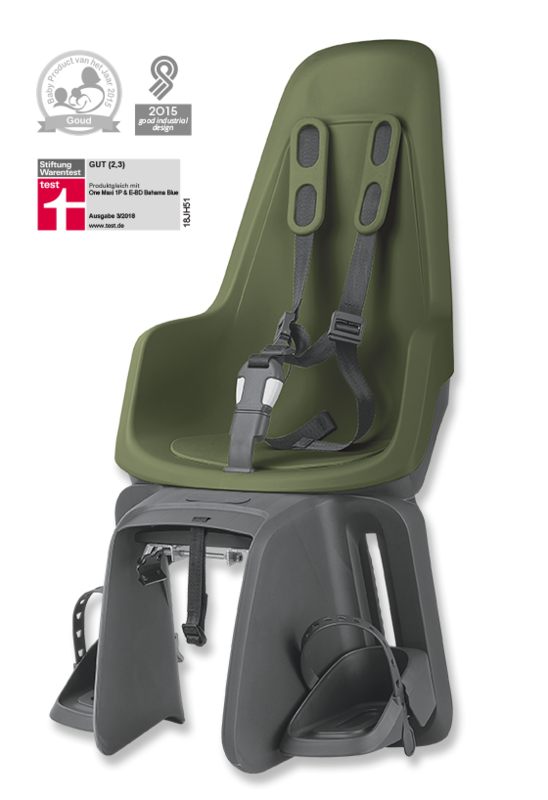 The seat offers a handybag bracket and when not in use, the seat folds down and can be used as a carrier.